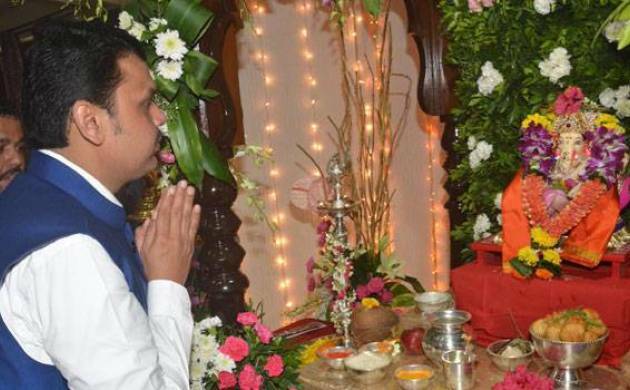 In a dramatic turn of events, a man, who recently performed Ganesh puja at Maharashtra Chief Minister Devendra Fadnavis’ official residence ‘Varsha’ here, was arrested in connection with a criminal case filed against him three years ago. A police official from Kudal in Konkan told PTI that the accused, Parmanand Hewalekar, was arrested yesterday and produced before a local court. He was released on bail. “Hewalekar was arrested in connection with the FIR filed in 2013 under IPC Section 354 (assault or criminal force to woman with intent to outrage her modesty),” the police official said. Hewalekar and his wife were recently invited by Fadnavis to perform Ganesh puja at ‘Varsha’ after he came to know about the “social boycott” faced by the couple in their native village.